GOOD STUFF GUIDE DFTR CARD GAME SHOP VIDEOS REVIEWS! CLICK BELOW TO SEE THE FRESHY FRESH STUFF WE HAVE FOR YOU! For over 20 years, I’ve been traveling the world singing and ministering predominately to teenagers with the band Newsboys, as a solo artist, and now with ZEALAND. It’s become obvious to me that now more than ever, we need to take the message of Deuteronomy 6 super seriously. There are millions of messages competing for our kids’ hearts and minds. It’s our job to help them build solid foundations and equip them to “measure the messages” so they can know which ones lead to LIFE and which ones will get them off track. This starts early when they are young, and is something we can help them build on as they get older and start taking on all the challenges that come with growing up. As parents we need as many creative, fun resources as we can get our hands on in order to teach our kids in a more deliberate, effective way right from the start. 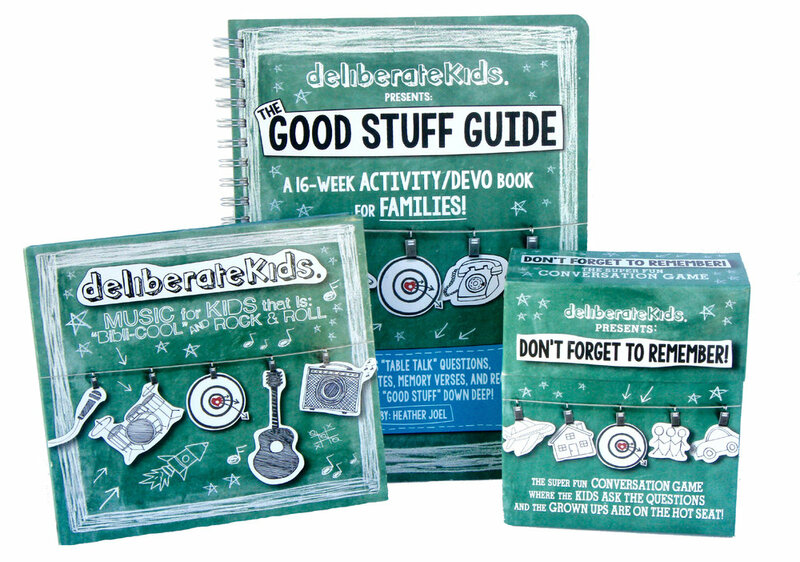 We made deliberateKids in response to that need. Our hope is that the MUSIC, GOOD STUFF GUIDE and GAME will inspire parents to tap into their own creativity as they take their role of parenting to the next level! Peace and grace to you on this amazing parenting adventure! We are right there with you!